Embroidery is a great way to pass some quality time. It was once thought of as a hobby for the older generation, grandmas who made their own clothes and clothing for their children as a way to save money or to get more from their rations during the war. Nowadays, it is enjoyed by people of all ages, from small children to older people, and it is no longer the domain of the ladies in the house. 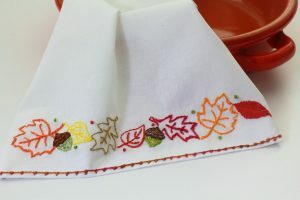 Embroidery is not as hard as you might think as there are kits that you can buy that will make the job so much easier. From miniature wall hangings to cushion covers, it is also a great way to personalise your home. The embroidery kits include a colour coded canvas and all of the embroidery threads you need. If you are not a fan of handmade embroidery, you can also do this on a sewing machine with a special embroidery foot. This allows you to embroider your pattern directly onto the item of clothing or piece of soft furnishing, and the look will be just as amazing as if it had been sewn by hand. People who have a need to keep themselves busy find embroidery really helpful. Those who want to break a habit, such as giving up smoking often find that by keeping their hands busy with an embroidery project, not only takes their mind off their cravings, but also feel a lot calmer too. Embroidery is a great way to relieve stress and anxiety and is a good therapy for those with depression. It is a brilliant distraction technique that has a productive outcome. A sense of achievement can be felt once a piece is finished, and best of all, if you are stuck for a birthday or Christmas gift, you can give a hand crafted embroidered item for an added personal touch.